Please select your option from the drop-down menu below. 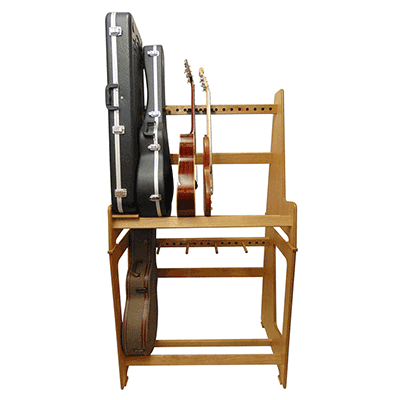 All of our Case Racks come supplied with an adequate number of movable supporting Oak Dowel Pegs but additional pegs and a range of useful extra Guitar Case Rack Accessories are also available to enhance your Rack’s functionality. 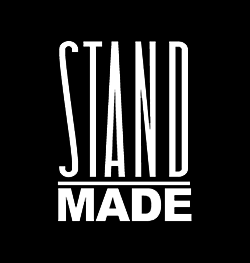 Please feel free to contact us if you need any assistance deciding which accessories will best serve your Rack. 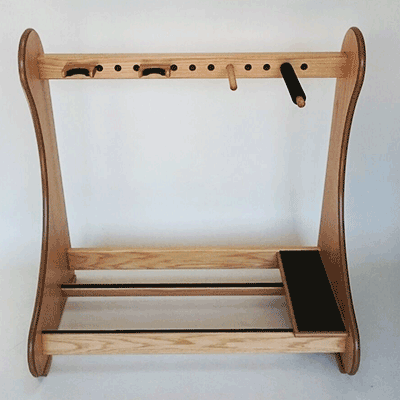 Your Rack will come with enough pegs to support the advertised number of Large hard shell Cases it was designed to store. 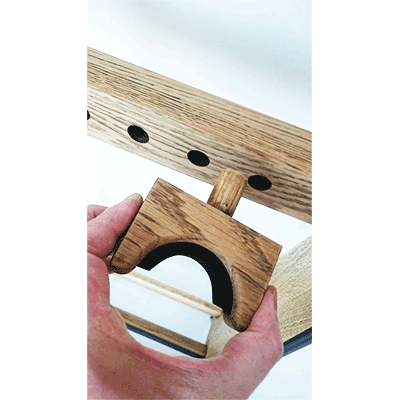 However, if your collection includes smaller slimmer cases then you might be able to fit more cases on your rack and require additional pegs to support and divide them. Any Oblong or “square-cornered” Cases in your collection will require a discreet & removable Flat Shelf for them to rest on. 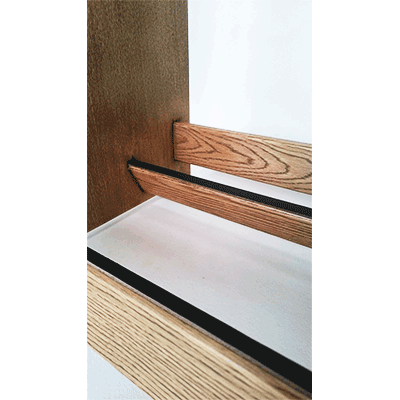 Each Oblong or square cornered case will also need an extra long (foam coated) peg to provide secure support. 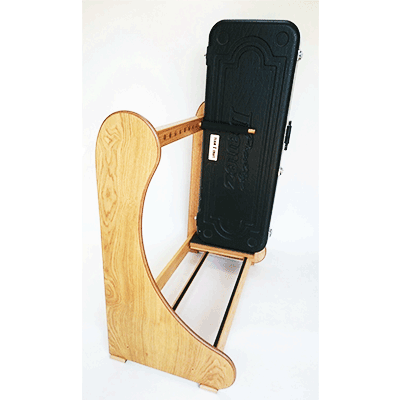 If you would like some soft cushioning for your cases or intend storing a few guitars out and next to their cases, then you’ll need to order some of our Felt Coated Leather Channels for them to rest on. 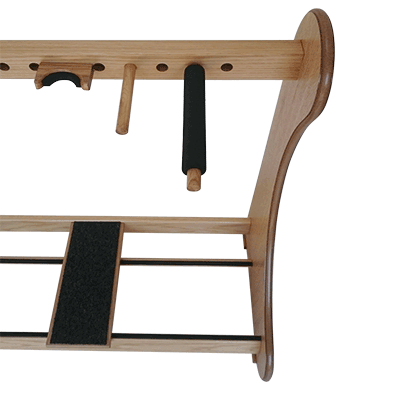 To secure each guitar stored out of its case and provide that essential cushioning at the neck, you’ll also need to order a Movable Neck Rest. 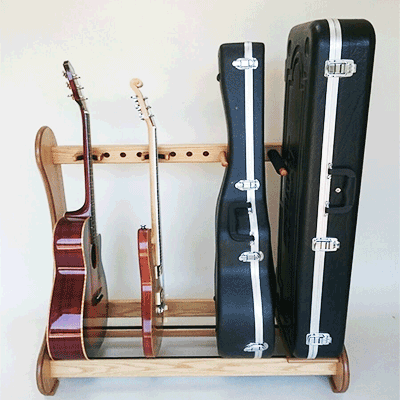 All of our Guitar and Case Rack accessories are packed and delivered free to customers living on the UK Mainland. Customers living in offshore UK, Europe, USA, Asia and Australasia should contact us for a quotation on Shipping costs and delivery. Please read our full terms & conditions before placing your order online.